Here is a 1920's antique table doily featuring punch needlework. The table doily has a black edging background and a cream color center area with bouquets of flowers in shades of blue, purple and orange. 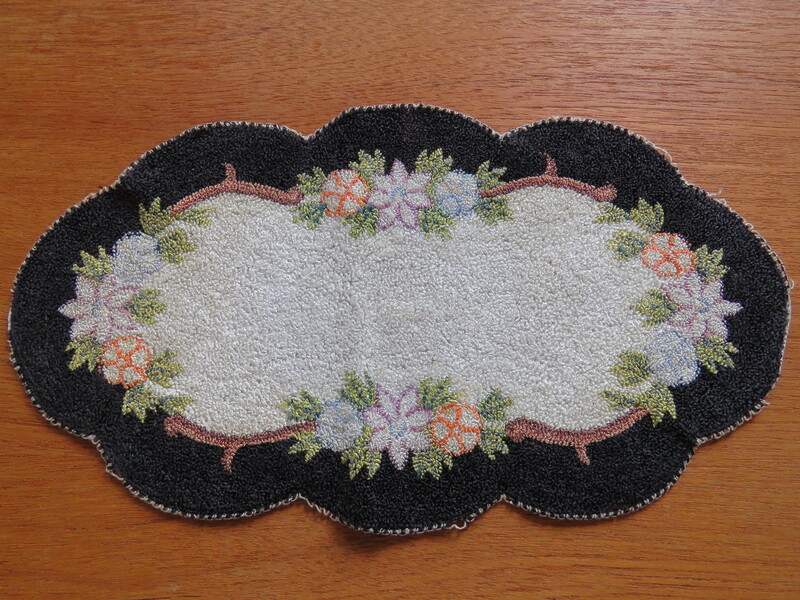 Antique Table Doily Punch Needlework Flowers Mat Measurement: 15" x 8". Condition: Good condition. Some binding thread loss around the outer edges of the table doily (see photos).